This post covers contemporary visualizers, who are also exceptional instructional designers. And here’s a promise: These maestros will change the way you see the world. I use these precious gems to train new instructional designers on visualization. Look around you—Watch this visual poem—And look around you again. The world will have changed forever. You’ll see things that you never noticed before. This stunning documentary brings together two visual design geniuses, Edward Tufte and his teacher Inge Druckery. 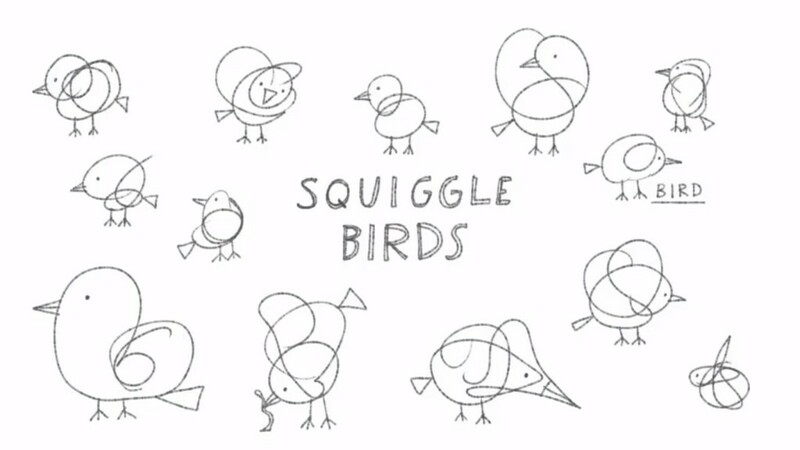 If you can’t doodle, this resource resource is just for you. Dave Gray started xplane.com, which was probably one of the first few companies that designed mind-blowing infographics for corporates. Through these videos Dave provides some simple tricks to help you doodle. You won't believe it was this easy all along. Visualization follows its own vocabulary. Learn the language of visual design (especially comics) in this lecture from Barbara Tversky. She talks about visual devices that comics use to depict time and space. Dean Vipond— How Would You Explain Graphic Design to Four Year Olds? Dean Vipond, a brand and interaction designer, in this beautifully written blogpost, tells about his experience of teaching 4 year olds about visual design. He says, “for someone who specialises in explaining things to a target audience, how it took me doing a talk to children, to force me to confront my own profession, and explain its value in clear terms.” This post is a good primer in visual design. This entry was posted in Recent Thoughtstorms, Uncategorized and tagged animation, Comics, Storyboard, Visual Design, Visualization on November 3, 2015 by admin. Organizations are increasingly supplementing formal learning methods with informal learning initiatives. This is because we face a highly dynamic workplace, where each day, we deal with problems that we may never have encountered before. Traditionally, companies relied on employees’ past experience and special Research and Development teams for innovation. However, now survival skills include the ability to adapt and to collaborate formally and informally with individuals from diverse domains to arrive at solutions to complex, unprecedented problems. Before beginning to design a collaboration platform for an organization, it is essential to understand how collaboration happens and what it can facilitate. In an informal network each individual comes with a particular skill set, and an internal drive to learn from and to contribute to the network. When people with diverse backgrounds join forces, they bring out different sides of a problem that lead to richer and quicker solutions. As Steven Johnson, the author of Where Good Ideas Come From says, “When ideas take form in this ‘hunch’ state, they need to collide with other ‘hunches’. Often times the thing that turns a hunch into a real breakthrough is another hunch that’s lurking in someone else’s mind, and you have to figure out a way to create systems that allow those hunches to come together and turn into something bigger than the sum of their parts.” Given this background, we look at a structured framework for collaboration within organizations. Any platform for collaboration should be designed based on a deep understanding of the collaboration philosophy and a defined framework. The platform should cater to individuals’ personal learning interests, give them ample opportunity to express themselves, and allow them to interact with people from diverse fields and from across borders. The tables below show how success criteria for each type of collaboration can be translated into a blueprint for a collaboration platform. Another important consideration while implementing a collaboration platform is the launch. How you launch your organization’s collaboration platform can mean the difference between success and failure. A well-planned launch can make people engage with your platform. Some tips on how to launch a collaboration platform for your organization. This entry was posted in Recent Thoughtstorms, Uncategorized and tagged Autonomy, Collaboration, Collaboration Platform, EdTech, Enterprise Collaboration Platform, Informal Learning, Online Learning, Social Media, Virtual Learning Environment on September 30, 2015 by admin. Not enough employees are interested in taking our learning offerings, can we gamify the process of course enrolment? They make too many errors in the data entry process. Can we gamify the process of data entry? Gamification can certainly resolve some of these issues. However, as the hype subsides, there are many voices that speak against it. Gartner had predicted that 80% gamification projects will fail, primarily due to poor design. Gartner claims that it’s lack of game design talent that plagues the industry. On the other hand, some of the most vociferous detractors of gamification are leaders and theorists who hail from the gaming industry. They accuse gamification of “instrumentalization” of games that are otherwise supposed to be a cultural form of expression and art or entertainment. They compare points and badges to the use of food for training rats. The behaviourist approach to manipulating human behaviour is considered inappropriate by many game designers. Others argue that gamifying everyday work is like conducting tests to make students study. Tests make students coach to ace the test, instead of making them study to quench curiosity. Similarly, people learn to game our gamified systems. Despite what many may feel, games and game elements have seeped into our lives through frequent flyer miles, redeemable loyalty points and so on. It’s also true that shorter feedback cycles, smaller goals, comparative scores can change behaviour (at least temporarily). Yet, while designing game based solutions, it’s easy to fall into classical mouse traps that are a result of gamification done wrong. What are some of the pitfalls of gamification that we should avoid? We should ask ourselves—If I remove the external reward, does my solution still stand ground? Would people participate in the absence of rewards? Playing a game of chess is its own reward. A game of snakes and ladders doesn’t need badges/gifts/food coupons at the end. A gamified solution should provide a healthy balance between intrinsic motivation and extrinsic rewards. If your gamified solution relies a lot on external rewards, chances are that the solution will fizzle out fast. Microsoft launched Windows 7 in multiple languages. This meant working with testers in many vernacular languages, lots of repetitive work, and high chances of errors. Instead of assigning the work directly, Microsoft opened the task up for employees through a gamified environment. People had to find as many errors as they could and their offices competed with each other. The initiative saw tremendous success. They had more than 4,500 voluntary reviewers who worked on more than 500,000 screens in their own time. All around us we see examples of people contributing and actively participating for no extrinsic rewards. Wikipedia, Quora and many such forums go to prove that there is an internal drive that leads people to do things. How Can We Drive People to Participate Without Extrinsic Motivation? Through games humans seek pleasure, mastery, competition, learning, collaboration, conflict, meaning, problem solving, and so on. Game points to a cause. For example, for every point you score, we’ll donate some amount to your favourite social cause. Gamified solutions to something fun. If you play well, you get to participate in a mega gaming tournament at the end of this campaign. This point is in a way an extension of the previous one. If the stakes are high, the freedom to make mistakes and to lose a game will be gone. I’ve seen many people think that other rewards won’t work, but monetary rewards definitely will make gamification work. Monetary rewards don’t let games be games. One wouldn’t call gambling a game, or we wouldn’t call our jobs a game—we’re paid to do our job, and the money is not something we “win”. Another common request is to connect game points to performance reviews. This has the potential to steal the soul of any gamification project. That’s because connecting anything to a performance review or an appraisal takes away the freedom to fail, makes it high stakes, and in turn kills playfulness. Doing this is sure to make the environment highly political and stressful for all involved. No one wants to live inside a game. It’s a high emotion, high adrenaline environment that is balanced out by only one thing—low stakes. If you up the stakes, a gamified environment will cause havoc with people’s nerves. That’s the opposite of what games are supposed to do. Gamifying core work of employees will lead to competition and will again make the stakes high, even if the scores aren’t overtly related to performance; employees will end up comparing scores. Disney put up a counter with points on it for their clothes washing staff. This was related to monetary rewards and punishment. The staff started getting very stressed. They would not take any breaks to speed up their output, because they could compare their scores on the big screens, with that of their peers. The initiative got dubbed as “the electronic leash”. How Can We Drive Behavioural Change When the Stakes are Low? This will keep the stakes low and will involve a purpose to drive people to get involved. This doesn’t mean gamifying for the sake of gamifying. What it means is that we need to evaluate whether a situation lends itself well to being gamified. As learning game designers, I’ve seen many times that we’re asked to put in “content” as content in the game. There’s rarely room for presenting bullet points/paragraphs/detailed explanations in a game. Learning is in the very fabric of games. Learners themselves should be the creators of their own meaning, be motivated to reflect, learn and implement new things rather than “consume content”. Content should either emerge from play or it should be the context of play. It could be constructed by the player and formalized as the game progresses. Many times learning designers are averse to letting people construct their own knowledge. They want to “ensure” that people learn what they’re meant to learn, not a thought different, not a word extra. The problem with such an approach is that it reduces games to an instructional silo with very little room for exploration. I am NOT implying in any way that we should not have objectives for a game. In fact we should have very clearly defined objectives. Only stating them upfront and in the end may mean we’re leaving no room for people to “construct” their own learning. State the rules of the game. Let players play the game. Ask reflective questions (that facilitate “meta-cognitive” thinking, reorganizing of thoughts, reconstruction of existing knowledge etc.) as the game play is on/Provide frequent feedback through gameplay which leads to learning. End by allowing players to state what they think they learned from the game/Extend what they learned to the workplace. When I start playing an online game, I don’t even wait to learn to use the interface. I want to learn to use the interface by playing, not by listening to instructions. That’s doable because it’s a low stakes environment. Games are about “exploration” through interaction with an ever changing environment that responds to our actions. Most of the times, the constant in-game feedback that results from the environment is enough for us to master new things. As we gamify, let’s design games with goals and objectives and not games with agendas. Keeping the spirit of games alive, let’s use them as tools for high intensity involvement with what we love doing. Let’s keep gaming! This entry was posted in Recent Thoughtstorms, Uncategorized and tagged Badges, Game Based Learning, Games, Gamification, Leaderboards, Points, Puzzles on September 12, 2015 by admin. Why is it a Quiz and Not a Game? Play this game called "Google Feud". Why is it a Game and Not a Quiz? In this blogpost we'll compare Puzzles/Quizzes and Games to try and understand Game Based Learning better. Adding game points/badges etc. doesn’t make a game. 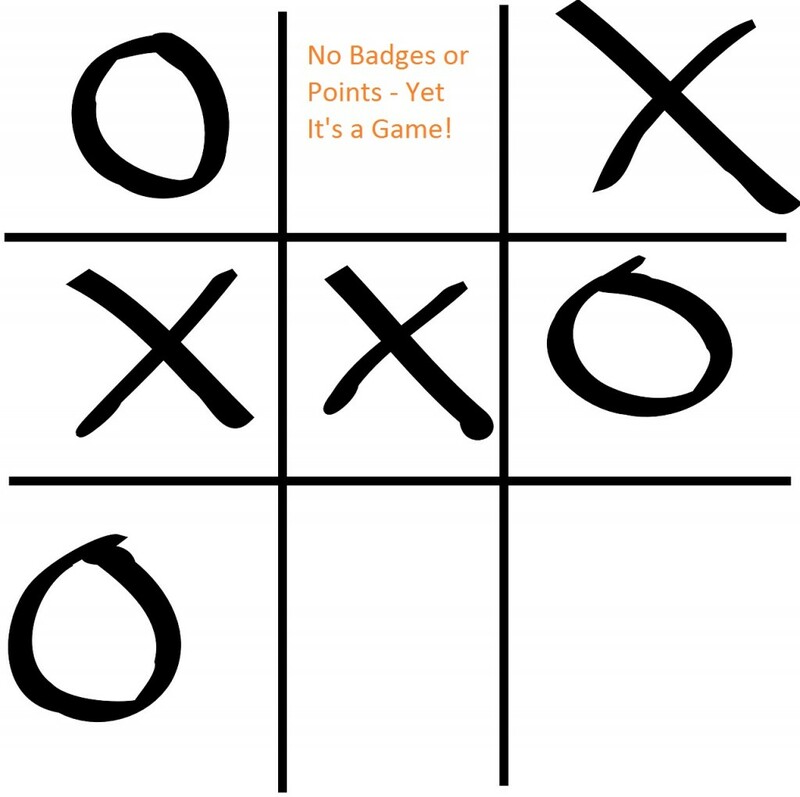 There are no badges in snakes and ladders and there are no points in tic-tac-toe. On the other hand, there are points in a quiz and yet quizzes are quizzes, not games. Having said that, it’s not easy to define what makes a game a game. So let’s begin with the difference between puzzles/quizzes and games. Is played only once. You resolve a crossword, and you won’t do it again. You may want to resolve another crossword, but not the same one. Has a definite and single outcome. There’s only one solution to a crossword. Only one set of answers is correct in a quiz. Is rarely social. We curl up in a couch, take that “me” moment out and try to solve a puzzle. Is usually non-interactive. The system of a puzzle doesn't respond to players' actions. It doesn't modify based on player moves. Can be played multiple times. We get hooked to games and we can play them again and again and again. Games have multiple outcomes. Tried playing chess the exact same way twice? Is interactive. The system of the game modifies as a result of player interaction. It responds and modifies itself based on how players interact with it. Both games and puzzles involve play and we can use a balance of game elements and puzzle elements to design our game based learning. Instructionally, it is important to keep in mind some of these differences while creating your game/puzzle design. This is because design will affect behaviour. For example, creating a crossword and adding badges for each response will get boring quite fast. We'll need to add more "game" elements to it beyond points and badges. If a game is heavily like a puzzle, it will lose its value after all the puzzles have been solved. On the other hand, a puzzle in itself may be very engaging and your content/situation may not need more elements of a game at all, depending on the need of the learning solution. If we do decide to create a game, we need to ensure we’re actually developing an invigorating and challenging learning game. To do this, let’s look at some basic characteristics of a game. Allow users to guess how Google would complete the phrase. Allow as many rounds as players want to play. There may be more implicit rules that we're not covering here. Winning Criteria: How close the player’s response was to a top search completion that Google would show. Play: When we play this game, we try to think like the way most people would think. We try to generalize our thought on to others, because we assume that Google would pick data filled out by most. So if they asked “The Oscars are…” we try to think like the world around us and complete it with “rigged”. This may not be our own thought, but this is what we think that most people would think and search for. Thus play “emerges” from the game. Also, there is no "one" correct answer. The game gets repetitive after a few rounds, and the element of play may subside. Context: Google search and the four categories set the context for the game (Someone who doesn’t know how to conduct a Google search or knows nothing about American culture, people and so on may find the game meaningless). Before we sign off, here are some tips on quizzing the vendor to select a good one for your game based learning solution. Will you play-test this game with our audience? Will you contextualize the game for us? How does learning “emerge” from the set of possibilities given in the game? Can and would learners want to play this game multiple times? A puzzle for you - Is a Rubik's Cube a game or a puzzle? Do share your thoughts in the comments box. This entry was posted in Recent Thoughtstorms, Uncategorized and tagged Badges, Game Based Learning, Games, Gamification, Leaderboards, Points, Puzzles on September 7, 2015 by admin. Massive: The number of people who join MOOCs is huge. Depending on the promotion and the associated value of the MOOC provider, any number of people may join in. Open: There are no barriers to joining a MOOC, other than the requirement of a computer and Internet. Online: MOOCs are delivered online, but the delivery format, pedagogy, and purpose of MOOCs varies for different online courses. Courses: MOOCs are courses. This means that they are structured and paced. 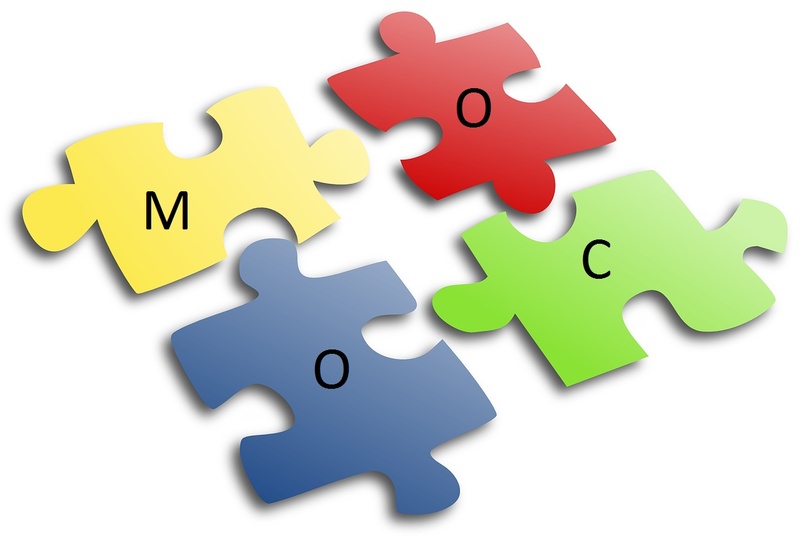 However, the pedagogy of a MOOC may decide how the MOOC is organized. What we don’t know is—how many of them are out there and if we were to organize them pedagogically, how would they classify? These MOOCs are being offered by big universities. They have famous professors, huge promotion capabilities and people flock to these courses because of the credibility of the university offering the course. Pedagogically these courses seem to use the instructivist approach to learning. This means that they’re driven by lectures and automatic assessments. Monetarily, they run on funding and some may charge students for assessment and certification. These are the original MOOCs. Promoted by professors, such as Alec Couros, Stephen Downes etc. Pedagogically these courses use the connectivist approach to learning. This means that they utilize the network for learning. The by-products of these MOOCs are a large network of people coming together, producing their own content, evoking conversations, and using the power of the Web to involve experts and becoming life-long learners of the field. Assessments are considered redundant in this kind of a MOOC. They require ongoing effort on the part of the people running the MOOCs. These MOOCs form a comparatively small number of courses being offered. One can say that Jim Groom has pioneered this approach. Pedagogically these courses seem to be constructivist in nature. As the name suggests, these MOOCs are organized around tasks. Learners get together online and perform a task and then present it to the rest. People learn from each other around these tasks. Assessments are in the form of the output of the group. There is no formal scoring. Some of these MOOCs are there to make money, others for the love of teaching. Which of these MOOC types is most effective? *Category names are as proposed by Lisa Lane in one of the network-based or Connective MOOCs I lurked on, in around 2012. This entry was posted in Recent Thoughtstorms, Uncategorized and tagged c-MOOC, EdTech, MOOC, Open Courseware, Pedagogy, xMOOC on August 27, 2015 by admin. We’ve all been there. We’ve faked interest. We’ve endured them. We’ve pinched ourselves to stay alert. We’ve sat through boring presentations for the sake of greater good of humanity. Not another post on how to design your PowerPoint slides. Not even about how PowerPoint is the worst tool of all times. Here we talk about getting creative with the presentation format itself. Slides change automatically. You have to keep the pace constant and there’s no going back to a previous slide. This forces people to keep only the most important points in, eliminates redundancy and kills boredom. Restrictions and rules force people to think creatively and to design their presentations. You don’t have the luxury to ramble on. Also, you’re forced to practice before you present—that makes all the difference. This format can be used in organisations to make key design presentations and so on. If the speakers are telling success stories that are awe inspiring, you don’t want to rush them, and you don’t want to allow them to talk forever. While anyone can participate in a Pecha Kucha as long as you’re passionate and have a story to tell, Ted Talks present accomplishments of people who have done something extraordinary. Use this format in your organisation to share success stories. Special Rule: In at least 5 slides the presenter should involve the audience in an interactivity like a question, a show of hands, a game, a response, a puzzle, a trick (it’s an ocean of possibilities). This format will ensure that the audience is as much on their toes as the speaker. Giving equal time to Q&A ensures that people can have a healthy discussion around what is presented. Look around you. There’ll be local traditions of presentation. Use them in office. They’ll make people creative, and more candid. Rules: People present in teams. Speaking Time: Each team gets 5 minutes to sing/narrate a story/a poem/a script etc. and 5 minutes to compose a response. In the time that the next team composes, the first team answers questions. In organizations this can work well where you fear that people don’t bring their human side to a presentation! It can be used to make employees more aware of local issues facing an organization or to make social causes meet song writing. In a small, sleepy town in Nothern India, a Hindu priest came up with the idea of the Jawabi Kirtan–A format in which teams of singers meet from all over, and the first team sings about a social topic for 45 minutes. The competing team gets 30 minutes to prepare (a song) in response to the first song. 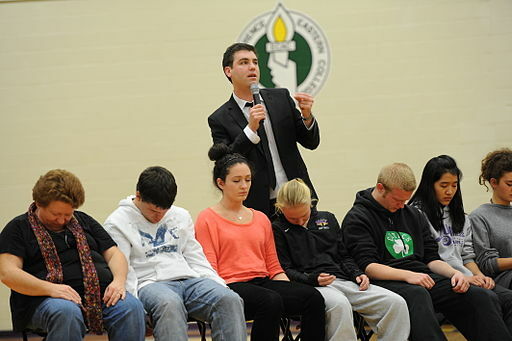 Although this was a leisure time activity, it made a lot of people aware about the social issues facing their region. Take Insipiration from Movies: Run Lola Run, Rashomon etc. In the film Run Lola Run, Lola needs to arrange a huge sum of money in 20 minutes to save her boyfriend. Each decision that Lola makes/each event affects her story and the end outcome. Can we make a presentation format based on this? Theme: An issue with several paths to an end. Rules: Create groups based on paths that each individual believes in. Story telling: Each group tells the same story that follows a different path. They will have to logically support how the path will lead to a desired result. Groups are free to create their route with common elements with other teams. Debate: 4 minutes debate time to argue about the problems opposing teams foresee on the path. Use this format where you feel that teams need to be able to see different perspectives and debate alternative paths to a solution. Go ahead and make your own creative formats. Don't forget to share them with us. This entry was posted in Recent Thoughtstorms, Uncategorized and tagged Design, PechaKucha, Presentations, Ted Talk on August 14, 2015 by admin. People publish many resources like music, pictures, videos under different Creative Commons licenses, and several old pictures etc. have been freed into the public domain. 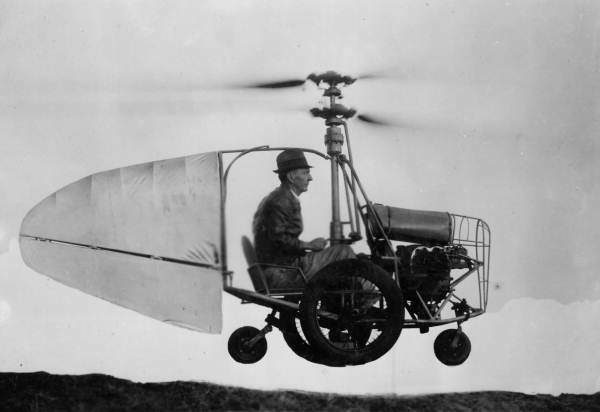 Some public domain pictures, like the one below, are very intriguing. They give a glimpse into how the world was more than a hundred years back. And there's also a romantic association about these having been "freed" from copyright—like humans having learned to fly. I’ve had a “free” folder on my desktop, in which I’ve saved several “open source” resources (links to music, videos, images, books) over time. These come in handy for creating blog posts, courses, podcasts, videos and so on. I'm sharing some links from that folder in this post. Before that a bit on "free/open" resources. We all could do with free images in the e-learning circles. What’s amazing is that sometimes CC images are more candid and life like and communicate much better than the stock images that we pay to use. Easiest hack to find CC0 or CC images is to use Google Images – > Click Search Tools -> Select the Usage Rights that suit you best -> Look up the images and be sure to check the license and origin. You can also search the resources listed in the Creative Commons search engine separately. Flickr has a large repository of free images and images under the CC license. Select your use type on the top left side and then search for images. Prelinger Archives where thousands of films are archived and available for reuse. Do check the license in each of these resources before you use them. I would love to learn about more resources from you in the box below. This entry was posted in Recent Thoughtstorms, Uncategorized and tagged Creative Commons, E-learning Images, Free, Free Resources for Images, Free Resources for Music, Open, Open Courseware, Resources, Training Resources on August 6, 2015 by admin. Do MOOCs really break those walls? I think the Internet itself demolishes those walls to a large extent. However, how big is the blow delivered by MOOCs? MOOCs definitely break this barrier for many students across the world. Not having a computer and Internet is where the access and affordability block begins in many countries. Several not for profit initiatives provide this basic access to students. Having access to good content is one of the biggest gifts of these MOOCs to students across the world. These types of MOOCs are conducted by a handful of professors currently. The subjects they cover are few. Since these MOOCs are about taking your learning in your own hands, anything learned from anywhere is a way that these MOOCs promote. Value of self-learning* is low, and it forms a big barrier to learning. Shouldn’t the primary task of open education be to increase the value/worth of “self-learning”? (It’s like the health industry trying to make people value healthier habits.) Let’s see how this has been done through MOOCs. Salman Khan of Khan Academy brought the idea of the “flipped classroom” that caught up fast. It brilliantly promotes self-learning as valuable, and reverses the role of the teacher. The big, well-known universities, presenting courses on Coursera etc. have not proposed any pedagogical models that promote “self-learning” as valuable. Maybe this is one wall they don’t want to touch. Connective MOOCs are all about self-learning, learning with peers and utilizing the network. The importance of “self-learning” is a part of the new pedagogical theories they propose and experiment with. Why is ownership of content important? Because the hand that owns the content rules the learning. The content in Khan Academy is open, and it runs from teacher to student. With the flipped approach, learners decide their progress and pace, and the classroom helps them cope. The content is owned by the universities, and it comes with the individual brand of each professor and university. They deliver the course, and in many cases after the course is over, the videos are pulled down till the course starts again. How or why would anyone shut something that is online? Is it to establish ownership? The Internet, the people in the network, and the learners themselves own the content. Learners are encouraged to create more and more content and share it with the network. Content is in the hands of the learner. Support is provided by the network. A great wall is other's perception of learning achieved on one’s own, outside of institutions. Most people worry whether what they’re learning on their own will have any value in the real world. Will it get them a job? Will it help them grow in their current job? Will it help them do better at school? How much do MOOCs help break this wall? Khan Academy provides a way to test what you have learned. You can view your ipsative scores and your progress through a series of exercises, meticulously created, backed by data and presented to you and your teachers in a gamified platform. The “gaps in learning” are clearly visible for the student and teacher to work upon. 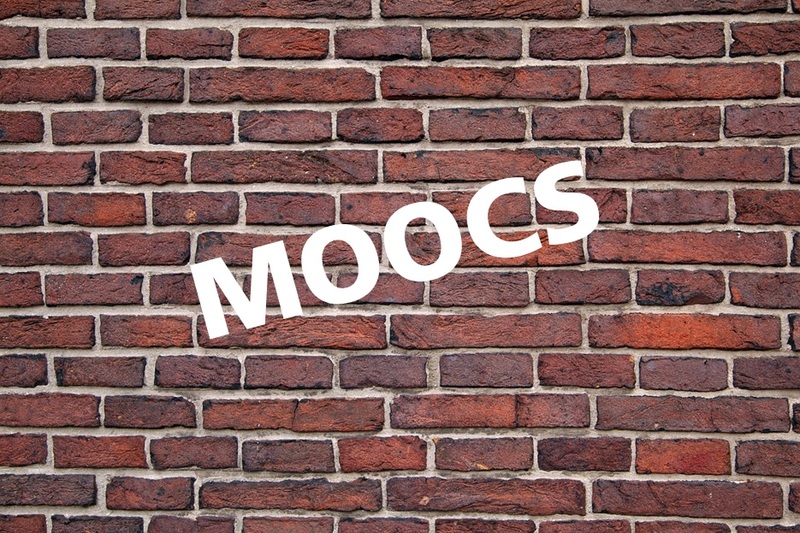 University MOOCs seem to have the strongest wall here. The differentiation between the “real stuff”, that is, a university education and the video lectures of professors shared via MOOCs seems to amplify the wall. A common argument given by the owners of these MOOCs is that peer/expert interaction cannot be replicated online. Not true, if you look at how people are interacting across the Internet (or look at other MOOC types). Assessments in these MOOCs may cost you something (which may be fair). Or they may have assessments (peer reviewed exercises and scored questions) and provide a certificate to those who complete it. However, the bigger barrier is the value of the diploma/certificate you earn at the end of the MOOC. Is it of any value? Should this barrier always stay for universities to remain relevant? Building your digital footprint and having your efforts out there for everyone to see are the best resume you can create. The more value you generate online, the more value you develop for yourself. These MOOCs demolish this wall for those who are truly interested. *Self-learning means to take responsibility for your learning, learning how to learn, owning your curriculum, and owning your content. Are Dropout Rates a big Wall for MOOCs? Click here to read more. This entry was posted in Recent Thoughtstorms, Uncategorized and tagged c-MOOC, Elearning, Khan Academy, MOOC, Open Courseware, xMOOC on July 31, 2015 by admin. Here are four animated films that celebrate what it is to be human, question what we take for granted, and connect us to the larger picture of the world that we live in. These films can be a part of any grown-up’s life-long learning project. Marjane, the child protagonist of the film grows up in a left-wing family that struggles to fight the rule of the Shah and then the Islamic revolutionaries. The film is a presentation of the dichotomy between the family’s personal beliefs and the external political environment. What is our personal history? How is our life’s story, also the story of our society? A story of a loving couple that has lived through one war in childhood and prepares for another in old age. As the old couple prepares to face the brunt of the war, the movie depicts how far removed war is from the basic human need for love, comfort and peace. Where does war fit in with basic human nature? What human need does war fulfil? The film explores Israel’s mass amnesia (metaphorical and real) related to the 1982 Lebanese war and the massacres in Sabra and Chatila. This intense watch takes you to the minds of people who were a part of the war—and once again this film too contrasts true human compassion with the absolute terror that we’re capable of inflicting on our own species. What are the collective lies we’re hearing around us? What’s behind our silence when such grave events take place? This is a grave story of innocence and resilience in the backdrop of WWII. Two war orphans seek refuge with an aunt who takes advantage of their situation and dislikes their presence. The two run away to live in an abandoned shelter. The story traces their lives of starvation and misery as the war comes to an end. 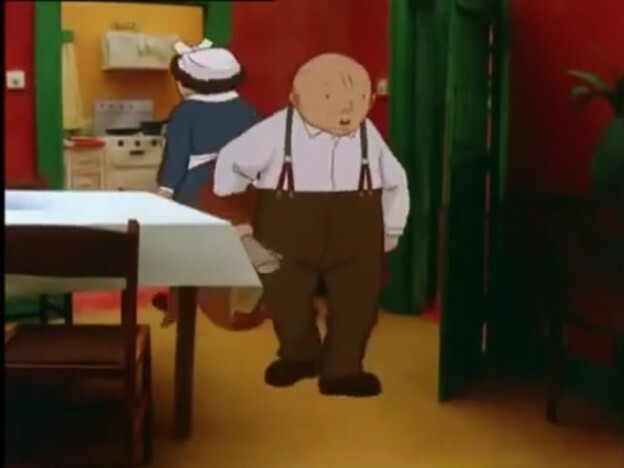 Does animation make the unbearable, almost watchable? This entry was posted in Recent Thoughtstorms, Uncategorized and tagged animation, holistic development, Life-long learning on July 26, 2015 by admin. As we plan the creation of a collaborating organization, it’s important to note that a company-wide implementation of a collaboration platform at one go may lead to chaos. It may intimidate users, or people may question the use of it. Instead of rolling out the platform to the entire organization, it’s best to identify high energy teams and start on a trial and improvisation basis with them. 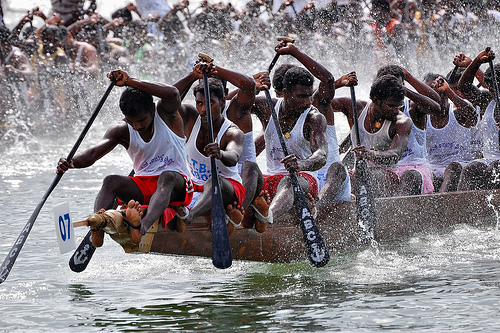 As and when teams or communities successfully collaborate, the network of people and teams on the platform can be increased. Creative methods can be used to get people interested in the platform. ​If you roll out to a limited audience, there will be a buzz around your platform. Follow up on how this audience is using the platform. Improve it based on their feedback. And remember to share the success story with the next group to who the platform will be rolled. The more convincing your success stories, the more people you’ll motivate to participate in your organization’s knowledge network. As Daniel Pink says, people have an internal drive to learn and to contribute. What the organization needs to provide them is a purpose and some form of autonomy. To provide autonomy, it’s best to allow the collaboration platform to be an initiative that is run by the employees. Community leaders play a crucial role in defining the purpose, and often times they need to be trained on guiding and running a community. 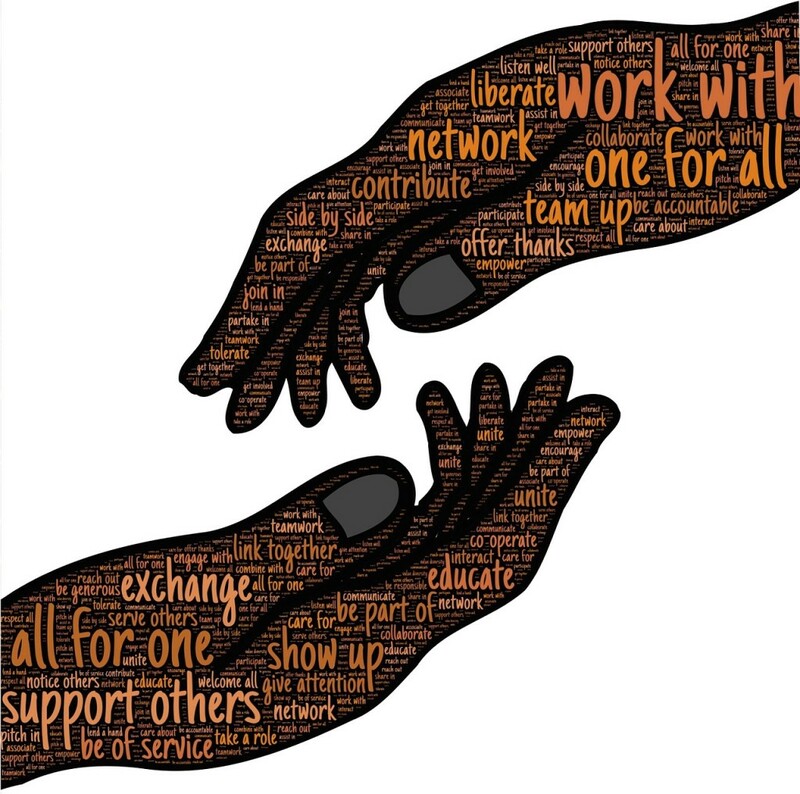 As organizations spread across the world, and interaction amongst culturally diverse teams becomes indispensable, leaders need to positively promote collaboration. They can do this by setting an example and contributing regularly to the knowledge network. It’s crucial to make people see the purpose of the platform and to help them actively understand how collaboration plays a role in their work. This can be done through training. This entry was posted in Recent Thoughtstorms, Uncategorized and tagged Autonomy, Collaboration, Collaboration Platform, EdTech, Enterprise Collaboration Platform, Informal Learning, Online Learning, Social Media, Virtual Learning Environment on July 18, 2015 by admin.